New York Health & Racquet Club (NYHRC), New York City’s full-service health club for tailored fitness, will be setting sail with the NYHRC yacht now through October. NYHRC members, non-members and guests can take in sweeping skyline views of New York City aboard the luxurious 75-foot yacht, which sails around the southern tip of Manhattan. Departing from the Skyport Marina, the NYHRC yacht will sail on weekly three-hour sunset and weekend brunch cruises, which includes complimentary dinner or brunch and a full cash bar. 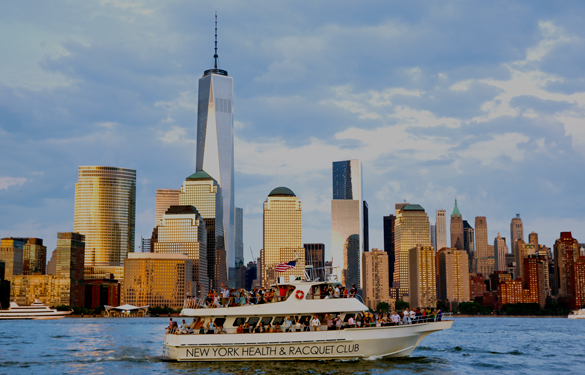 Additionally, the NYHRC yacht will host multiple specialty cruises throughout the summer, including a Manhattan Cricket Club Cruise on July 27th. Sail aboard the speakeasy with an all-inclusive dinner, oyster bar and signature cocktails. 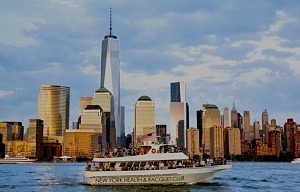 Tickets for sunset and brunch cruises are $30 for NYHRC members/$60 for non- members and can be purchased online here.